Home » Blog » What Metrics Are You Losing to Your Sales CRM Solution? What Metrics Are You Losing to Your Sales CRM Solution? Your CRM software can help you to increase productivity and revenue. First, you need to determine what you want to accomplish, what your goals are, and what strategy you need to achieve them. However, without the right metrics, you have no way of measuring success to determine if your sales strategy is working. Since CRM solutions are useless without employee participation, you could be losing key information on a daily basis, your metrics could go unmeasured and incomplete, and your ability to make strategic decisions could be delayed. There are a variety of reasons that sales agents fail to enter data into the CRM. Maybe you have come across a few of these reasons? - A lack of inclusion. If your employees do not understand how their day-to-day job impacts company goals and objectives, they have no clear motivation to participate in various campaigns, or to take the time required to update their CRM. Too often companies silo employees instead of bringing them into the big picture and helping them to understand how valuable their role is. This leaves everyone feeling alone and disconnected. - Busy schedules & heavy calling. As the day gets busy, calls are made, lunches taken, etc., it can become easy for employees to get distracted and simply forget to input their new prospect information. With no way to track calls being made, you will not know whether a customer was reached or not. - Only going half-way. Very often, employees will enter the least possible amount of data. By choosing to go only half-way and making an incomplete entry, they can make it harder for other employees to close the sale in the future and impossible for anyone to pick up where they left off. - Wanting to hold onto it. In competitive sales cultures, you may find that certain employees hold onto data so that they can go back and close a sale later, without interference from anyone. Since most CRM software cannot capture data unless it is input by your employees, you need a system that can track customer contacts and dispositions without requiring human interaction. You need something automated and streamlined, that offers call metrics and easy interaction with your CRM. When you capture data, you can use it to demonstrate best practices to other employees and to create a culture of success. According to some reports, 44% of sales people give up after only one phone call and many after only one email. On average, a sales person will only try to reach a prospect two times. This is a problem because it has been found that around 80% of sales require an average of five follow-ups. So why are sales people not following up? More than likely, it is because they do not understand the benefits of doing so. Without internal data showing what it takes to be successful, your employees can hear management requests as annoying, rather than helpful. 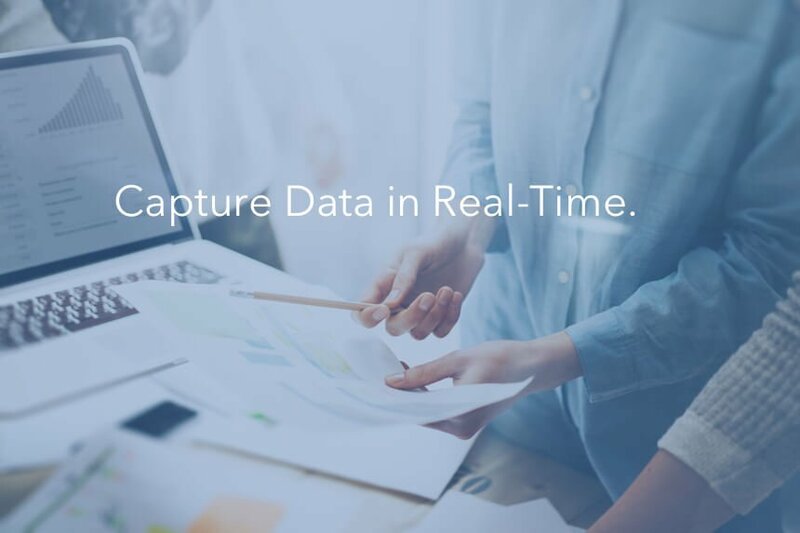 When you have real-time analytics to show employees, they can begin to see what makes one agent more successful – follow-ups and the number of customer touches. It is not necessarily their voice on the phone but how often they try to reach customers that counts. This insight can be incredibly valuable in helping to build upon the success of your best team members. Additionally, if your leads are nurtured over the long-term, they are likely to buy even more with statistics showing that nurtured leads place orders that are 47% larger. They also reported that marketing automation can increase the number of qualified leads by 451%. All in all, these are excellent reasons to encourage your team to begin using your CRM on a regular basis but you still need to measure your internal success, rather than simply sharing statistics. How many calls were made. How many calls it took to reach people or to close a sale. The number of prospects reached. Number of existing customers contacted. Requests for a follow-up call or booked appointment. How long it takes to speak with a customer or resolve an issue. The list of things you can track are extensive, but, if you do not have the right tools in place, tracking anything at all can become difficult. Since your CRM software requires your employees to enter data every single time they reach out to a customer, you could be missing out on key information that is necessary for completing reports and for understanding the true success of a particular campaign. For example, if your team only enters information on calls that resulted in a follow-up, referral, or sale, your numbers will be skewed and it will appear that what you are doing is working far better than it actually is. Incorrect data, such as this, will prevent you from making informed decisions on how to spend your marketing and sales dollars or even decisions regarding product launches or pricing. The data contained in your CRM software could be obsolete. Everything from a customers’ phone number to their name and address could have changed but unless their information is updated, the next agent in line will continue to reference old information. When you combine your CRM with our telephony software, you can keep track of things like which numbers are now disconnected. By allowing you to update your files and your call list, you can make better use of your agent’s time during the next call campaign. To ensure that you have the best quality real-time data, you should combine your CRM software with a cloud-based calling tool. 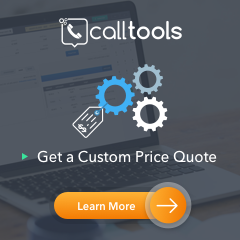 CallTools.com can integrate directly into your CRM so that your employees can click a button to instantly call your customers. This eliminates the hassle and allows them to type in notes while they are on the phone. This way, the next time they make a call, they will have more information at their fingertips. Simultaneously, you will have access to real-time reports on how many calls are being made by each agent and what the disposition of those calls were. No longer relying on employees to give you accurate numbers, you can compare closed sales with how long employees are on the phone, or how many prospects they reach each day. This will give you the analytics you have been missing due to employee error, forgetfulness or a simple lack of participation. Armed with knowledge, you can then make key strategies decisions that can help your business grow.